We’re of the opinion that just about all biscuits are heaven-sent — but there’s something especially, well, heavenly about “angel biscuits.” These yeasted biscuits are even lighter and fluffier than their non-yeasted counterparts. And it’s an angel biscuit recipe that chef Karl Worley, of Biscuit Love in Nashville, grew up baking with his grandmother. 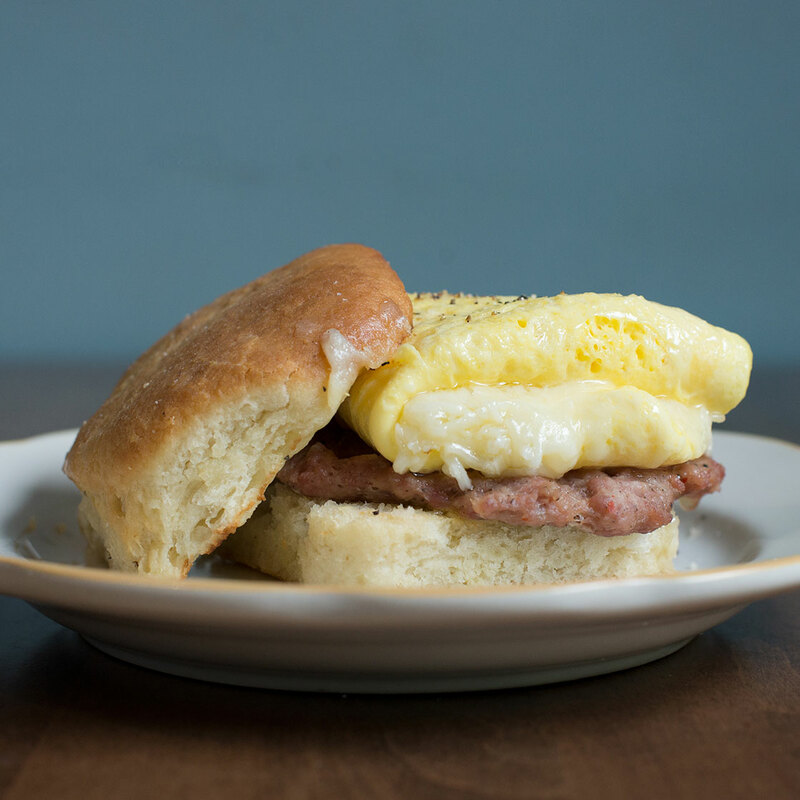 These biscuits are the foundation of every Biscuit Love sandwich — from the fried chicken-sausage gravy “East Nasty” to the BCBLT with “Chronic Bacon,” lettuce, and tomato jam — but we’re particularly enamored with the S.E.C., which takes the humble sausage, egg, and cheese to another level. The bread: The all-important biscuit, of course: golden brown and super-light. The filling: Rather than just any sausage, Worley opts for a smoked sack sausage — fully cured in a hanging cloth sack — from the mom-and-pop Jake’s Country Meats in nearby Joelton, TN. Add aged cheddar and a fluffy stack of egg scramble and you’ve got a biscuit worthy of lovin’.